What's emotional intelligence and do you have it? How does this skill help us lead with empathy? 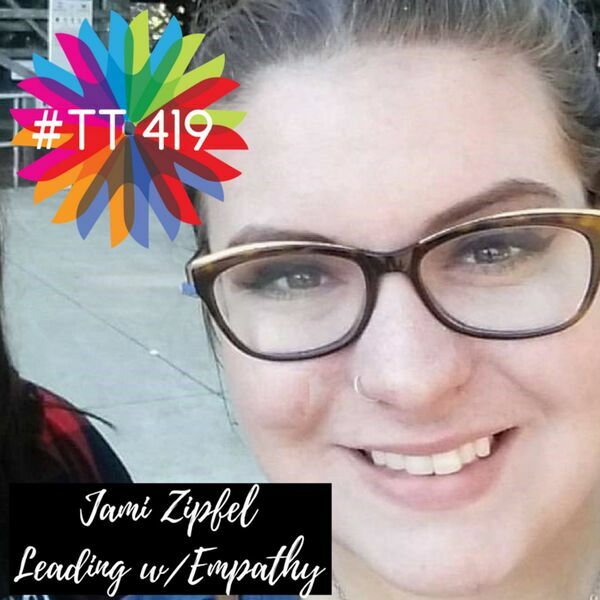 Jamie gives us the full scoop, sharing a personal struggle and how she stumbled into her field of helping people communicate and understand one-another better. She gives basics that can help you in your own life, including the secret to showing others you care, "anchors," and one key component of helping a room full of people (from family functions to board rooms) understand each other. Jamie was born and raised in NW Ohio, and works to teach others how to better communicate with one another. She earned a Bachelor's Degree from Ohio University with a research focus on public advocacy. She's an accomplished public speaker who won a number of national titles in public speaking during college. Currently, she's an Instructional Designer who builds training programs. She's produced trainings for Mercedes-Benz, Ally Financial, and Verizon, among others. Her proudest accomplishment is as a Coach for the Maumee High School Speech and Debate Team, which allows her to teach teens how to express themselves with confidence and grace. Would you like to connect with Jamie Zipfel?